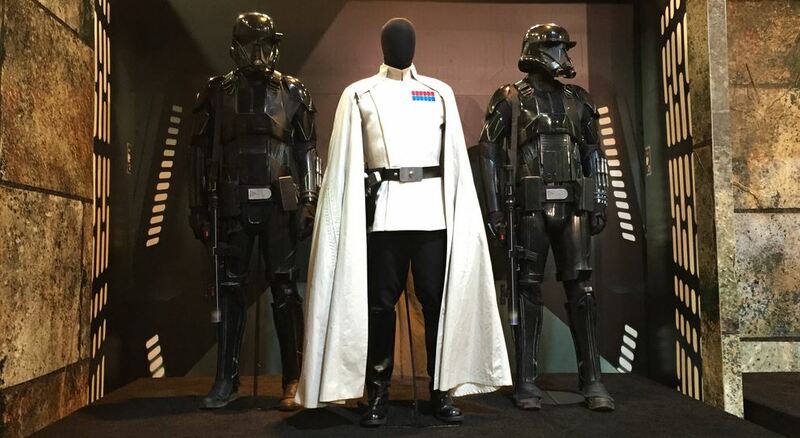 We are delighted to be welcoming Costume Designer David Crossman (‘Rogue One’ & ‘Solo: A Star Wars Story’) and Julian Day (‘Bohemian Rhapsody’, ‘Robin Hood’, ‘Rush’, Inferno’). This event will focus on the creative design process from sketch to screen and how they have created these iconic looks for those recognisable characters. This is destined to be informative and interesting discussion around the field of Costume Design. Glyn is a Costume Designer working extensively on the Star Wars films including ‘Rogue One: A Star Wars Story’ and ‘Solo: A Star Wars Story’. He has also served as a chief concept artist for films such as ‘Star Wars: The Force Awakens’, Kingsman: The Secret Service and Jupiter Ascending. Julian graduated from Birmingham University with a degree in Theatre Studies; however he soon established an interest in costume design whilst working for a year at Angels the Costumiers. Julian started designing for feature films at the turn of the century, teaming up with Pawel Pawlikowski in My Summer of Love and Last Resort. His eclectic and unusual style has brought him to work on a diverse range of productions, such as ‘Rush’, ‘Alan Partridge: Alpha Papa’, ‘Salmon Fishing in the Yemen’, ‘Nowhere Boy’ ‘Heart of the Sea’, ‘Pride & Prejudice & Zombies’ and most recently ”Bohemian Rhapsody’.